The first time Jon DeRosa arrived in the picturesque mountain town of Pisac in Peru’s Sacred Valley, it had been many years since he had practiced any of the earth based disciplines that he followed as a teenager. However, this trip which he embarked on several years ago in his mid-30’s, would reawaken this connection within him and he would soon be introduced to the world of Peruvian shamanism and the healing powers of plant medicines. One aspect of these ceremonies involved working with a plant medicine known as rapé (pronounced rah-PAY or HAH-pay ). Rapé is a blend of sacred, medicinal plants, seeds, leaves, trees and other ingredients, often containing a strong jungle tobacco known as Mapacho, and used by various tribes indigenous to the Amazon in Brazil and Peru. During the rapé ritual, the powdery blend is blown into the nostrils by means of a special pipe, traditionally made of bamboo or bone. “Working with rapé was not something I was initially drawn to, amidst some of the other plant medicines I was working with during that first visit. However, as is the case in shamanic healing, sometimes it’s the thing we resist the most at first that often provides us with the deepest healing.” It wasn’t until another year of working with the plants and a subsequent visit back to Peru that DeRosa really started to understand and appreciate the healing power of rapé and felt a calling to work more deeply with this medicine. There are two different styles of pipes for administering rapé: kuripe and tepi. The kuripe is a V-shaped tool used for self-administering rapé, that provides a connection between one’s own mouth and nose. The tepi is a longer pipe, with either an obtuse or acute angle (depending on preference) that is used for administering rapé to another person. As DeRosa crafted more and more pipes for members of his own shamanic community, he listed a few odd pieces for sale online out of curiosity. The response he received was overwhelming. 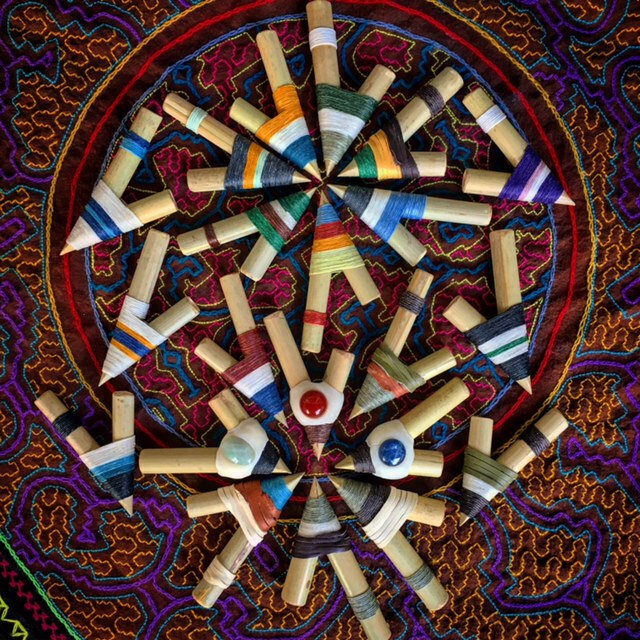 “I began to realize that there were so many communities just like mine, so many shamanic practitioners and students throughout the country, and throughout the world, who were also looking for these tools to facilitate healing.” DeRosa is now handcrafting kuripes and tepis in his Los Angeles, California workshop. Handmade using high-quality bamboo, colorful waxed cotton or linen threading, deer hide and leather, non-toxic polymer clay and non-toxic adhesive, he prefers to stick to natural components and simplicity in his designs. Extra care is taken to sand and smooth each end for comfortable use, and to widen the insides of each pipe for the most efficient medicine delivery. Constructed with sacred intention, these beautiful kuripes and tepis are individual works of art and come in a variety of color combinations. Have a look at the offerings from our first shipment which just arrived at Shaman’s Market. We are now pleased to be able to offer these unique and well-crafted pipes. 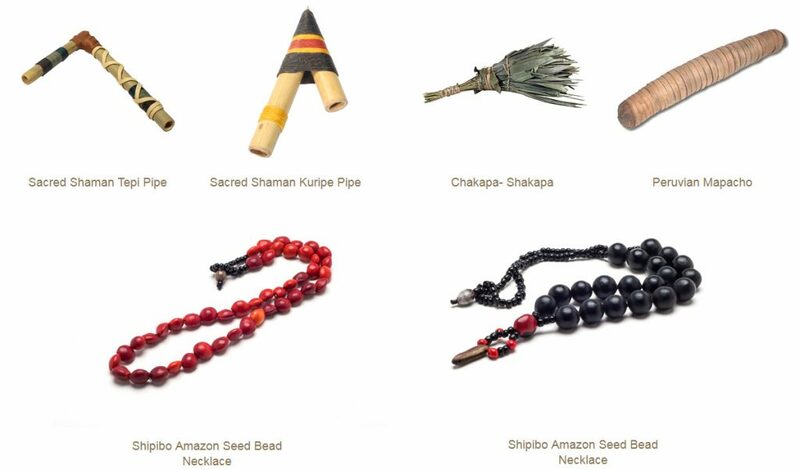 The post Tools of Sacred Plant Medicine Rapé appeared first on Shamans Market.